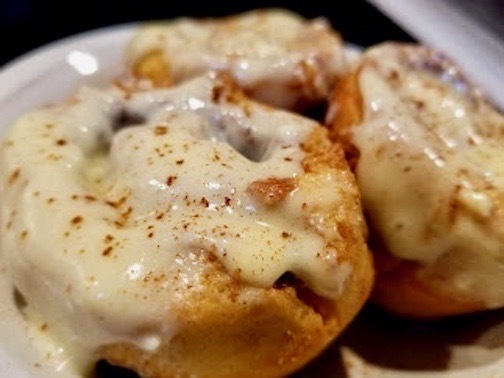 The fall ushers in the season of comfort food, and our guilty pleasure of the moment is sticky, buttery, gluten free cinnamon rolls. This is the one sweet treasure that our daughter enjoys icing. 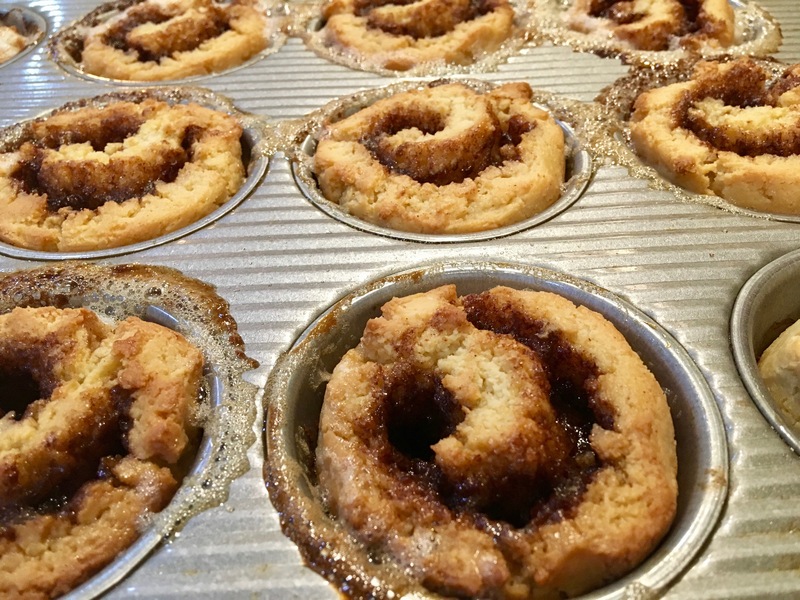 The smell of Flour Farm cinnamon rolls baking in the house is worth the price of admission. 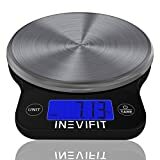 Our recipe is not difficult, but it is a bit time consuming. 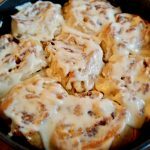 We make a family date on weekend mornings to bake these cinnamon rolls together. Fun! 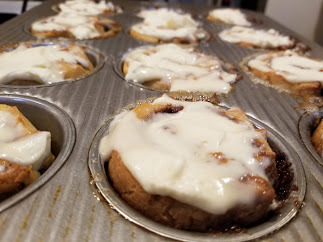 We prefer to bake our cinnamon rolls in a regular muffin pan. This allows for easy clean up, and for the perfectly sweet size. The smaller size also allows us to savor the flavor of these delightful treats by having more than one :). It’s difficult to stop eating a cinnamon roll once we start eating it, so we especially appreciate not having a mammoth roll to deal with. However, if you prefer larger rolls, by all means – make them as big as you want! 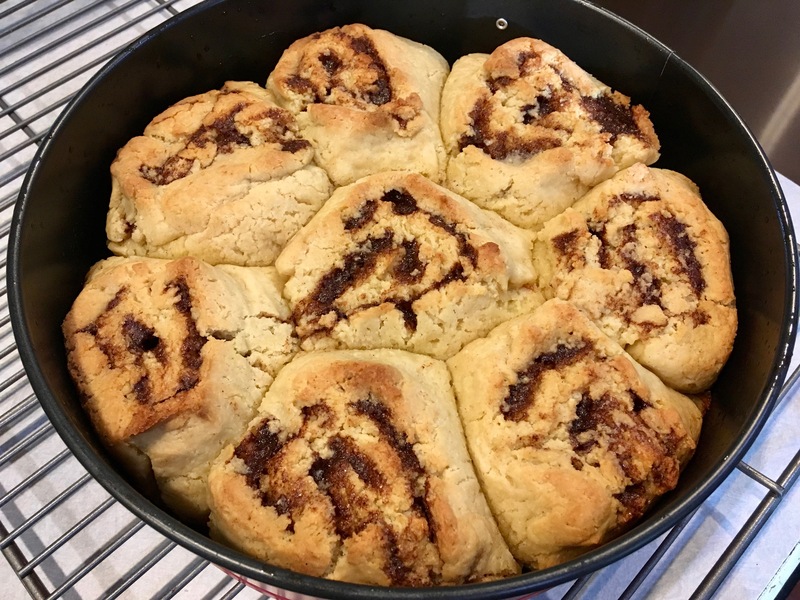 A spring form pan works very well for larger cinnamon rolls. Just increase the baking time, and keep an eye on them to prevent overcooking. 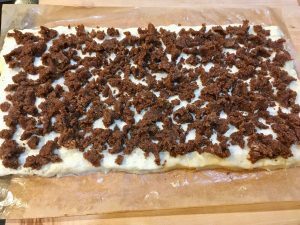 Use greased, unbleached parchment sheets – this is the key to easy roll up! Have fun – this isn’t rocket science! Step 1: Make the dough. In the bowl used for your stand up mixer (use paddle attachment,) or a large bowl, whisk together the dry ingredients. Attach the bowl to the mixer. Add the butter and beat on low until the flour looks like course crumbs. Step 2: In a small bowl, add the warm milk, oil, egg and vanilla. Beat with a fork or whisk until combined. Step 3: With the mixer on low, slowly pour in the milk mixture. Beat until thoroughly combined. Turn off the machine and scrape down the sides of the bowl. 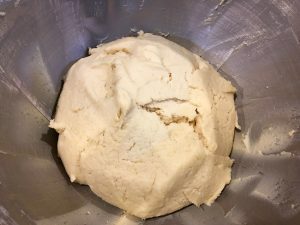 If you the dough has not crawled up the sides of the bowl, the dough is too thick. Add a teaspoon of milk and beat for another 10 seconds. Turn the machine on to medium-high and beat for 3 minutes. Do not short cut here – beat for the full 3 minutes. The dough will appear to look like very thick cake batter. Step 4: Turn off the machine and scrape the dough into a ball. Cover the bowl with a towel and allow the dough to rise for 60-90 minutes. The dough should appear puffy. Step 5: Make the filling. In a separate medium sized bowl, combine all ingredients for the filling. 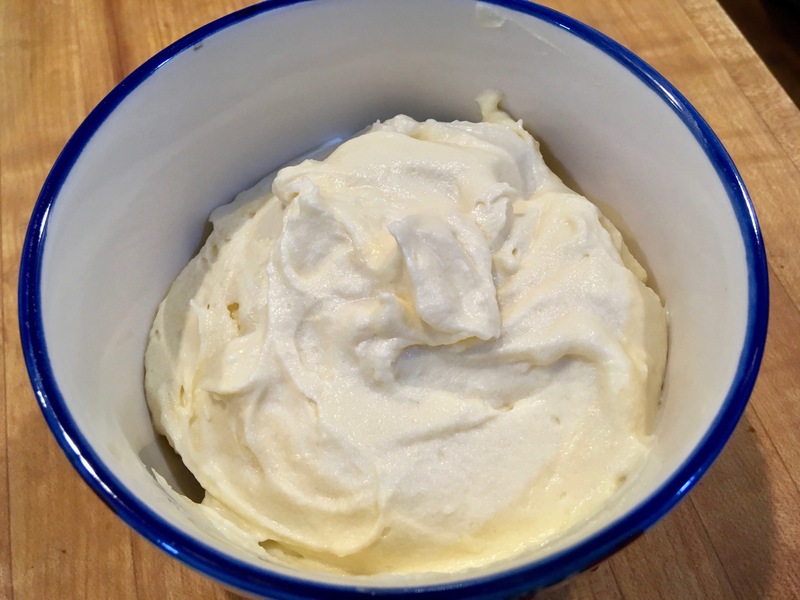 Use a fork and mix to make a paste. Set aside until dough is ready. Step 6: Prepare the parchment. On a piece of unbleached parchment, mark the dimensions of an 8″x16″ rectangle. Grease the parchment well! Step 7: Turn the dough out onto the parchment. Dip your fingers into a small bowl of milk and then press the dough to fit the 8″x16″ rectangle shape. You may have to dip your fingers several times as you press out the dough to prevent sticking. Give the surface of the dough one final brush of milk. Step 8: Crumble the filling over the surface of the dough leaving a 1/2″ border along the edges. Step 9: This is the fun part! Roll the dough. 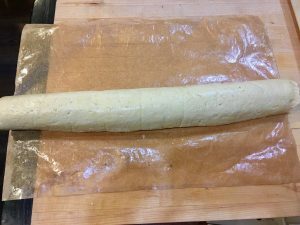 Start by standing with the long edge of the dough facing you. 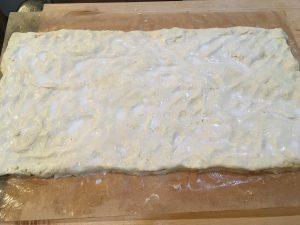 Begin to tightly roll the dough forward. The paper will release as you roll. 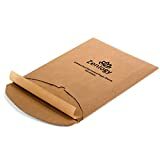 Continue rolling and releasing the paper until you reach the other side. Turn the log seam side down. Step 10: Cut the log evenly into slices. It’s best to use a sharp knife that has been dipped in milk or water between cuts to prevent sticking. We like our individual rolls smaller, so we divide into 12. If you like a larger, fluffier roll then divide into 8 or 9 rolls. Step 11: Place each roll into a prepared muffin well, or place rolls slightly apart in a 9″ spring form pan. Allow to rise for 45 minutes to an hour. They should appear puffy. Towards the end of the rise time, preheat the oven to 350 degrees F/177 C.
Step 12: Bake on the center rack. The amount of baking time will depend on the size of your rolls and your choice of pan. 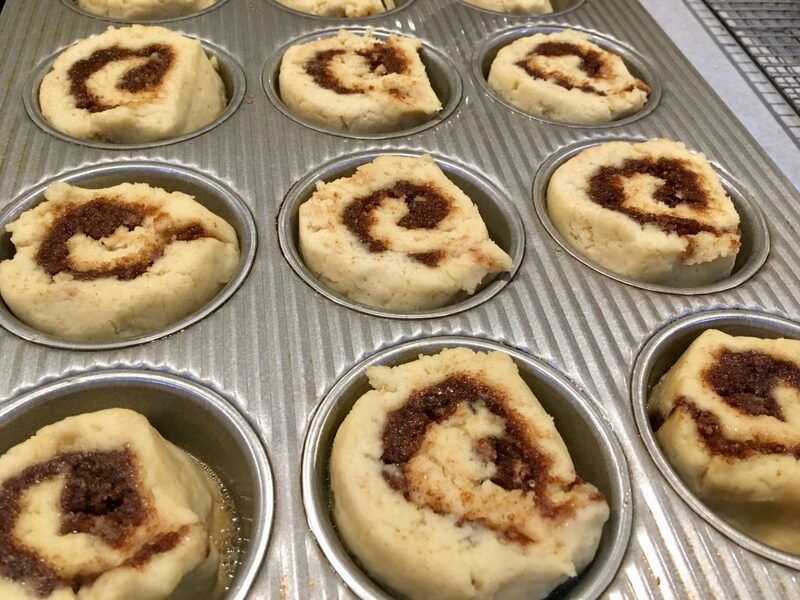 Start checking your rolls after 20 minutes for smaller rolls baking in a muffin pan. 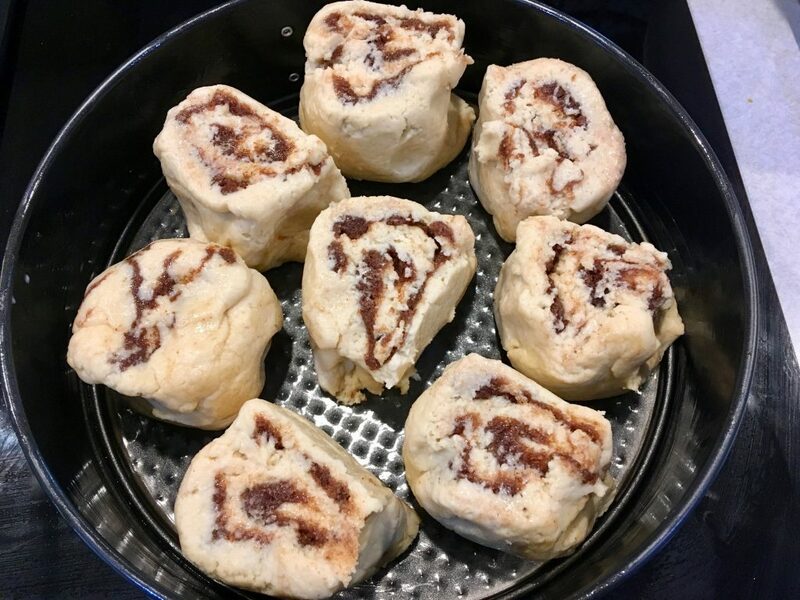 If using the spring form pan for 8-9 rolls, check for doneness at 30 minutes. Tops should appear golden brown. Step 13: While rolls are baking, make the frosting. 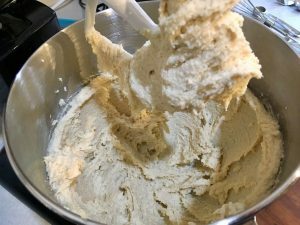 In a medium bowl, combine all ingredients for the frosting and beat until well combined. Store in the refrigerator until ready. Step 14: Remove rolls from the oven and place pan on a cooling rack. Frost and eat immediately. 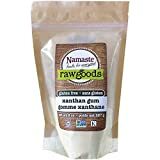 Your kitchen will smell amazing. 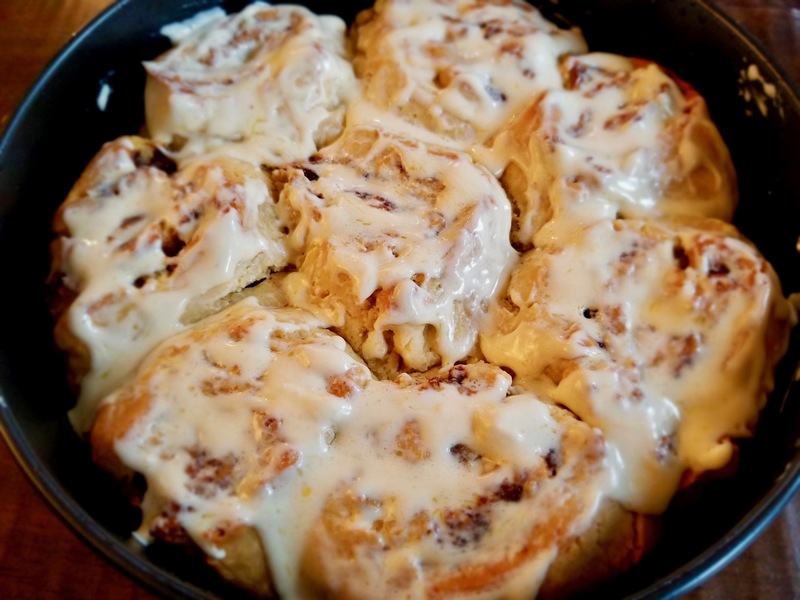 A note about the frosting: this recipe is easy to double if you love to frost more than just the tops of your cinnamon rolls. Also, feel free to adjust the amount of sugar to your liking and to add a pinch of salt. The nutrition information provided below is for the recipe as written for 12 rolls, (without the frosting,) using lightly salted organic butter and avocado oil. Have you tried making these the night before baking? 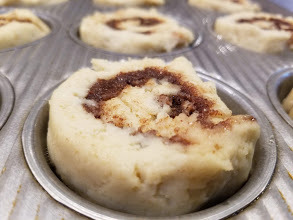 I have seen other GF cinnamon roll recipes where you do every step up through slicing the rolls, then you cover+refrigerate overnight & do the 2nd rise in the morning before baking. Would that work here? I would really love to be able to prep these most of the way the night before, so that the morning’s process is more hands-off. Thanks so much for your quick reply! I started them out yesterday & baked them this morning. 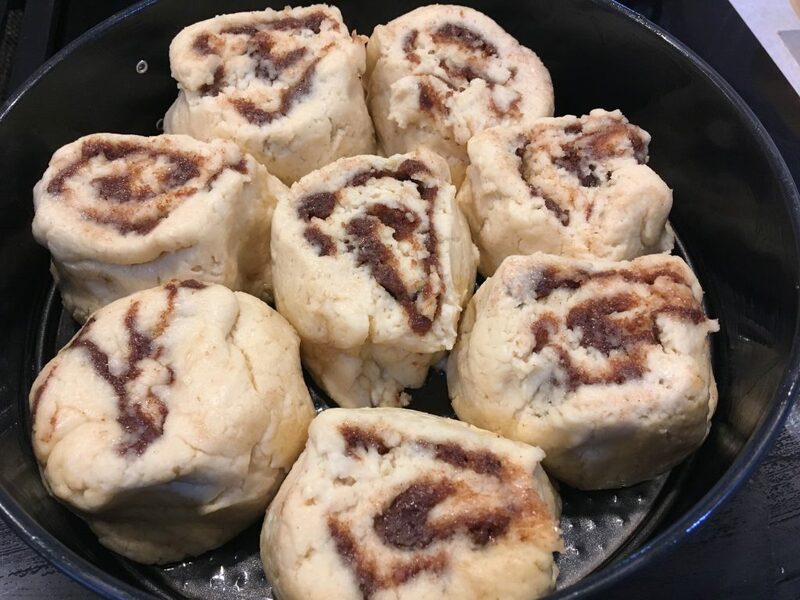 The second rise wasn’t very significant, but there are a lot of other factors that could have contributed to that – I’m not exactly what you’d call a seasoned baker when it comes to yeasted recipes! Spoiled moms are the best moms!